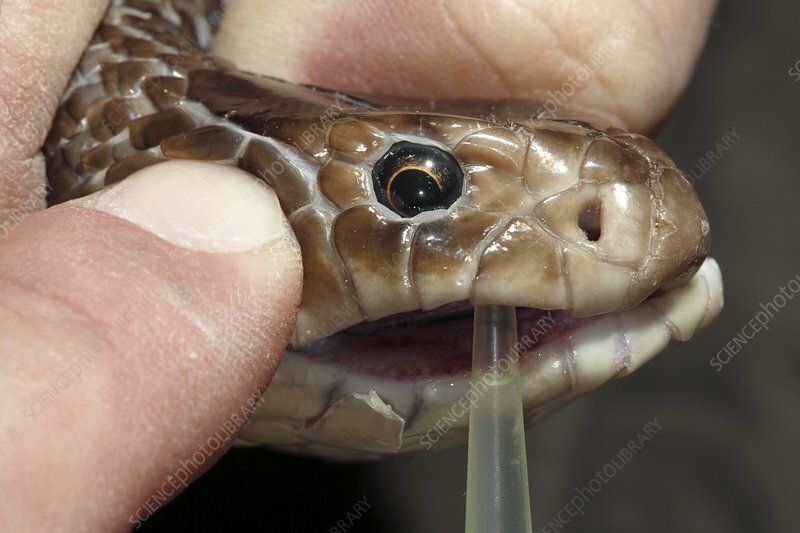 Eastern brown snake (Pseudonaja textilis) being milked for venom. This allows researchers to study the venom in detail and formulate an anti-venom. Brown snakes are the most common cause of snakebites and snakebite-related deaths in Australia. Though they produce little venom, it is very potent. Symptoms include headaches, nausea, vomiting, severe coagulopathy (dysfunctional blood clotting in the body) and cardiac arrhythmia or arrest.